As a teenager, Kate Harris realized that the career she craved - to be an explorer, equal parts swashbuckler and metaphysician - had gone extinct. From what she could tell of the world from small-town Ontario, the likes of Marco Polo and Magellan had mapped the whole earth; there was nothing left to be discovered. Looking beyond this planet, she decided to become a scientist and go to Mars. 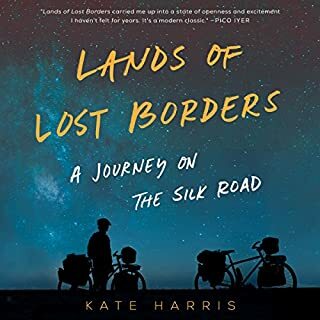 In between studying at Oxford and MIT, Harris set off by bicycle down the fabled Silk Road with her childhood friend Mel. 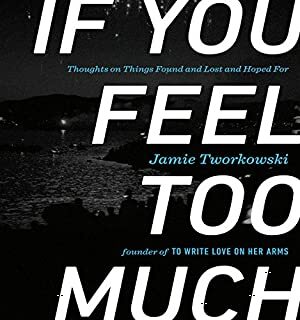 In 2006 Jamie Tworkowski wrote a story called "To Write Love on Her Arms" about helping a friend through her struggle with drug addiction, depression, and self-injury. The piece was so hauntingly beautiful that it quickly went viral, giving birth to a nonprofit organization of the same name. Nine years later To Write Love on Her Arms (TWLOHA) is an internationally recognized leader in suicide prevention and a source of hope, encouragement, and resources for people worldwide. On the eve of turning 30, terrified of being funneled into a life he didn't choose, Jedidiah Jenkins quit his dream job and spent the next 16 months cycling from Oregon to Patagonia. He chronicled the trip on Instagram, where his photos and profound reflections on life soon attracted hundreds of thousands of followers and got him featured by National Geographic and The Paris Review. 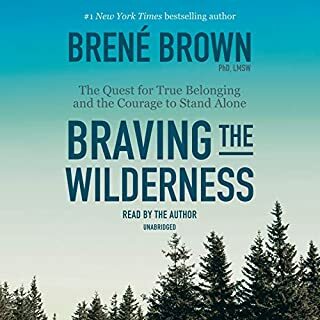 A soul-stirring book for the dreamer in each of us, To Shake the Sleeping Self is an unforgettable reflection on adventure, identity, and a life lived without regret. I loosely followed this journey on instagram and the book did not disappoint. An amazing story of adventure and self discovery. Thanks for sharing your journey with us! Loved this book. I had followed Jed on IG during trip and fell in love with how he wrote and the stories he told. This is so much a about the human condition, this world we all struggle and wrestle with. This story made me want to travel and also find parts of my own self I have smooshed down for one reason or another. It also made my heart break a few times for the idea of how we treat eachother in this world. Listen to book! Only a Travelogue, and not that extraordinary. I found the story to be honestly quite a bore. While I admire Jedidiah for taking this adventure, his reporting is really just that, a reporting of his journey. While there is some introspection into his sexuality and Christianity, that really is it for introspection. Nothing extraordinary happens on his trip and he glosses over places and events to give you just the basics. 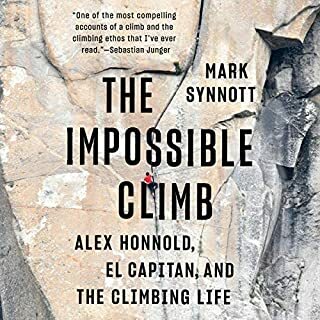 It is ultimately a very superficial accounting of this journey and lacks much sophistication, humor or profound insight. Found it to be pretty uninteresting in the end. I had high hopes for this book, but I'm only six chapters in and that's enough for me. Jenkins seems like a kid who is more concerned with upping his instagram following than with any shred of self discovery. Starting off a bike journey without even the most basic essentials like extra tubes and a patch kit and staying at friends houses binge watching episodes of Breaking Bad along the way is not my idea of adventure or shaking the sleeping self. This book leaves much to be desired. This Is a Big Walk in a Circle. I really regret getting this book. The narration is awful and the story drags. I don't understand how someone can bike such a distance and go absolutely nowhere in personal development. Listening to this was such a drag. And to get through hours and hours of it, to have the most abrupt ending, where nothing with his mother or himself is really resolved.... And nothing about getting back into life in the U.S., off the bike? 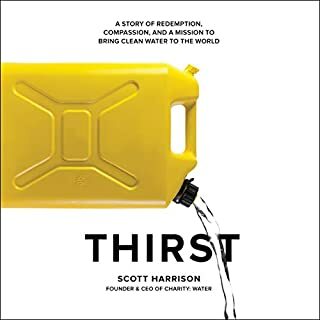 I read about this book on Instagram and will never pick an audiobook based on social media ever again. There are dozens of hiking and biking memoirs that are better than this. Don't waste your credits. This was one of the best audio books I’ve ever listened too! I practically inhaled the content. The combination of his voice, journey and words are magical. This book has it all: it reads like poetry, metaphors and imagery that make the words come to life, the author is sincere/honest and doesn’t hold anything back, and there are deep/interesting philosophical thoughts. Enjoy! I to come from a similar background of life. This journey that I feel as if I went on with him, brought out parts of my life and questions. Ultimately leaving me relieved to know that I wasn't alone in questioning. I really enjoyed listening to him, his thoughts, the people. He battles with things we all deal with everyday; acceptance, religion, family, love, adventure, self discovery. I think this journey is needed in all of us, not only the bike ride but self acceptance and understanding. Once I started listening to this book, I couldn't stop. When I had to stop, I found myself trying to listen to a few minutes here and there. 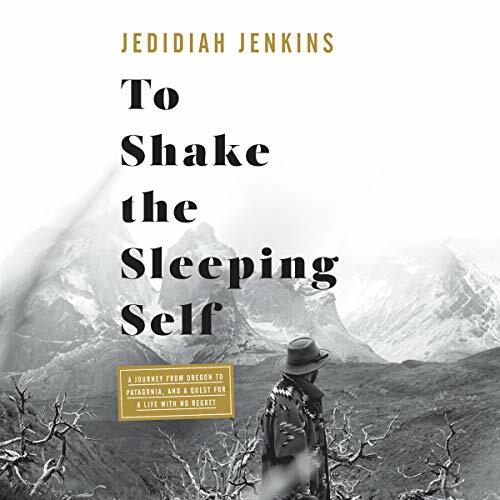 Overall, this is a great story and Jedidiah clearly has a gift for storytelling. Sometimes it's easier to tell other people's story than your own but I love the minute details that he adds to the storyline. The kind of details that you typically wouldn't see or know unless you were part of that storyline yourself. I appreciate his honest candor and willingness to tell all the parts of his story, including the parts that probably weren't easy to share. His story awakened a wanderlust that I've had buried for years. I can't wait to read what Jedidiah writes next. Peace out, my friend! 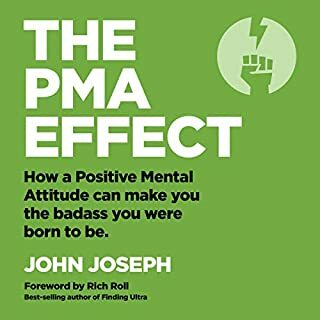 Bought the book after hearing him talk with Rich Roll on his podcast, otherwise it would not have been the sort of thing I'd hear about or be interested in. It turned out to be a gentle but absorbing book and I really wanted to know how it ended . There were no earth shattering conclusions to be drawn but I think that was partly the point and I enjoyed the journey. loved it. stared from the beginning again as soon as I finished it. excellent stuff. I stumbled across this book without knowing about the instagram hype. I enjoyed listening to every second. He writes his journey well and has a voice that was made for narrating an adventure. The story explores and ambles well. It got me thinking about different lives, opportunities and struggles to my own and made me want to expand out of my comfort zone. The fact his adventure didn't come from a hardened explorer, equipment heavy or high budget made it easier to feel inspired. I would listen again and probably just pick up at different points to enjoy the travel descriptions. It is a sincere recount of an adventure. I kept waiting for a big epiphany, but it never came (the writer did say that he didn’t have one though). I felt sad that the adventurer travelled so far physically but so little mentally (that is, moving away from his fear that actively being gay is wrong).